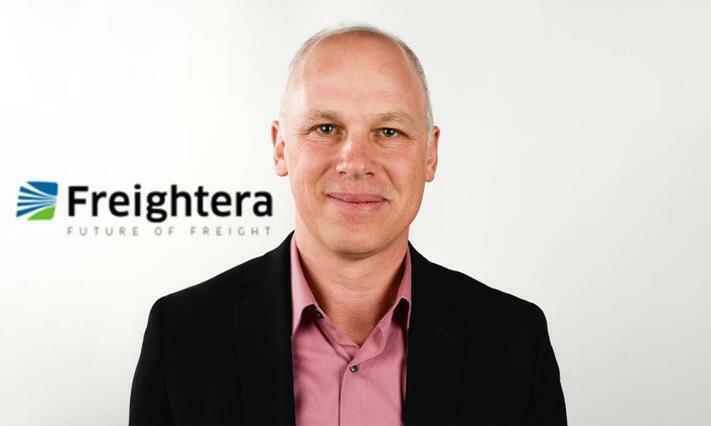 Freightera is an award winning online freight marketplace automating freight shipping and increasing operating margins for carriers and B2B freight shippers. We caught up with Eric Beckwitt to find out more. Freightera creates partnerships and systems and promotes new technologies that allow business to find the best price and lowest emission transportation options. Over 4,200 manufacturers, distributors and wholesalers in the US and Canada use Freightera for 24/7 online access to billions of all-inclusive freight rates and instant freight booking. As such the firm needs to offer the very highest standards of service and support, as Eric emphasises. “Here at Freightera we provide instant all-inclusive LTL, TL and intermodal rate quotes for business to business freight shipping in the US, Canadian and cross border markets. Freightera also provides same day manual quoting for multiple additional services that are in the advanced stages of automation, including temperature controlled LTL/FTL, flatbed, heavy haul and container services. In Q2 or Q3 2017 we will start offering air and ocean rates as well. We achieve excellence by continuously improved automatic processes, 100% online instant booking, and unmatched 5 star customer service. “Fundamentally, we attribute our success to our unique, visionary approach to integrating the global freight marketplace, starting in North America, to our team and culture, and our rapidly growing and excellent relationships with our customers, carriers, investors, partners and enthusiastic adopters of this new freight platform. Currently, the North American logistics and supply chain transport market is in the process of rapid change. New technologies and systems are quickly disrupting traditional 3PLs, providing unmatched transparency and opportunity for cost savings and efficiency. B2B freight shippers and transport companies both stand to benefit hugely from the adoption of these new technologies, which offer opportunities for load consolidation, increased carrier profitability, decreased air pollution and greenhouse gas emissions, and reduced shipping costs, all at once. There are huge opportunities for win-win between all major parties in the supply chain and transport sector. As such, moving forward Freightera is determined to build upon its current success and grow even further as it looks towards a bright and exciting future, as Eric concludes. 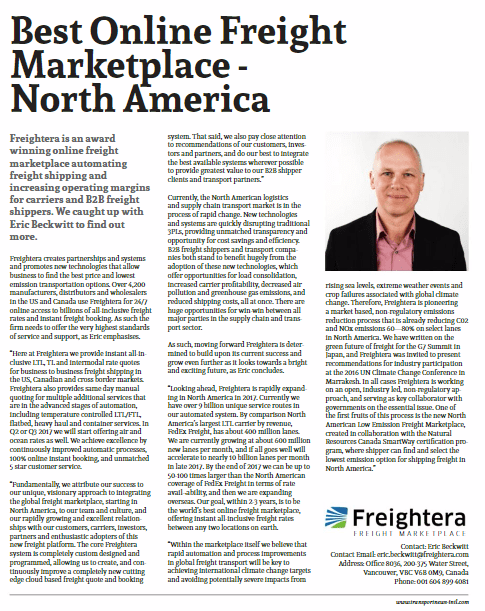 “Looking ahead, Freightera is rapidly expanding in North America in 2017. Currently we have over 9 billion unique service routes in our automated system. By comparison North America’s largest LTL carrier by revenue, FedEx Freight, has about 400 million lanes. We are currently growing at about 600 million new lanes per month, and if all goes well will accelerate to nearly 10 billion lanes per month in late 2017. By the end of 2017 we can be up to 50-100 times larger than the North American coverage of FedEx Freight in terms of rate availability, and then we are expanding overseas. Our goal, within 2-3 years, is to be the world’s best online freight marketplace, offering instant all-inclusive freight rates between any two locations on earth. “Within the marketplace itself we believe that rapid automation and process improvements in global freight transport will be key to achieving international climate change targets and avoiding potentially severe impacts from rising sea levels, extreme weather events and crop failures associated with global climate change. Therefore, Freightera is pioneering a market based, non-regulatory emissions reduction process that is already reducing C02 and NOx emissions 60—80% on select lanes in North America. We have written on the green future of freight for the G7 Summit in Japan, and Freightera was invited to present recommendations for industry participation at the 2016 UN Climate Change Conference in Marrakesh. In all cases Freightera is working on an open, industry led, non-regulatory approach, and serving as key collaborator with governments on the essential issues. 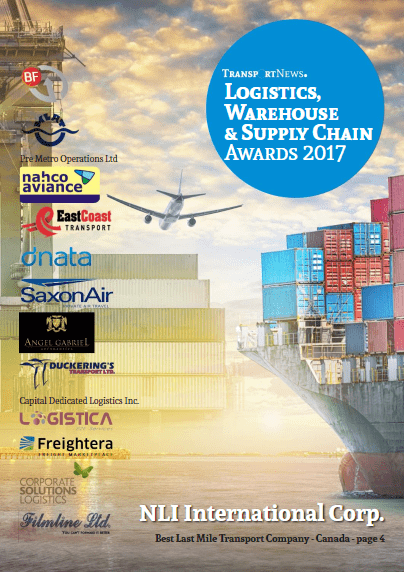 Original content on page 9 of Transport News 2017 Logistics, Warehouse & Supply Chain Awards and on Transport News INTL website.